Bron Wennili | Launceston Then! 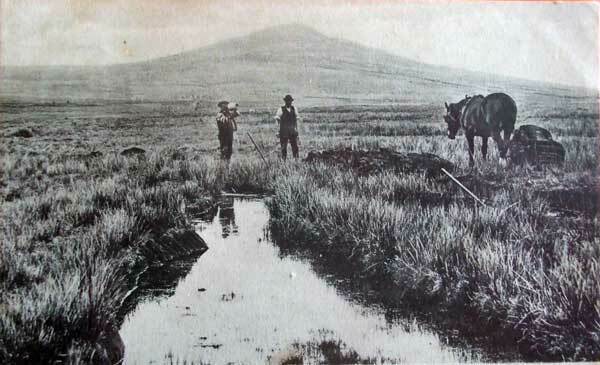 Peat cutting in the marshes below Bronn Wennili in 1905. Bronn Wennili (English name Brown Willey) is a tor situated about 2.5 miles (4.0 km) north-west of Bolventor. The name means “hill of swallows” in English. The summit, at 1,378 feet (420 m) above sea level, is the highest point of Bodmin Moor and of Cornwall as a whole. The tor has a variable appearance that depends on the vantage point from which it is seen. It bears the conical appearance of a sugarloaf from the north but widens into a long multi-peaked crest from closer range. There are many streams and marshes surrounding the summit, and the River Fowey rises nearby. The tor is known for a meteorological phenomenon known as the Brown Willy effect, in which heavy rainfall develops over high ground and then travels downwind for a long distance. It is this effect that caused the 2006 flooding of Boscastle. Meteorologists state that damp Atlantic westerlies bring water northwards up the Cornish coast when they hit the South Cornish shores, while those that hit the North Cornish shores are drawn southwards, converging and being forced upwards as they do so, this effect being intensified by the high land on Bodmin Moor. This phenomenon is made yet more powerful by the low pressure over the warm summer land dragging in cooler damp breezes from the sea on either side of the peninsula. The rapid air movement means rainwater is deposited quickly, often starting over the high hill of Brown Willy, then moving across the land bringing highly localised downpours and flash-flooding. Brown Willy is unusual in that, unlike other hills and tors on Bodmin Moor, there is very little evidence of prehistoric settlement around it. It may have instead been set aside for use as a communal area for people from the surrounding settlements, who may have used the ridge as a ceremonial procession route. There are no house circles or platforms in the area of the summit. 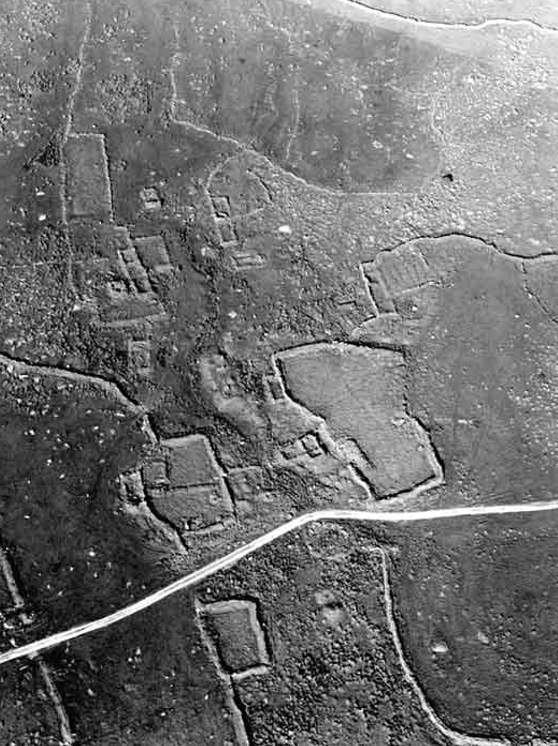 The remains of 17 houses and platforms have been found on the lower part of the eastern slopes and another 23 low on the western slopes; they were crudely constructed and probably only used seasonally dating from the medieval time. Bronn Wennili bathed in the summer soltice setting sun in 2014.